Description: Designed by Ulrich Hennicke for German Law Enforcement, as an updated, German-inspired Police Knife. 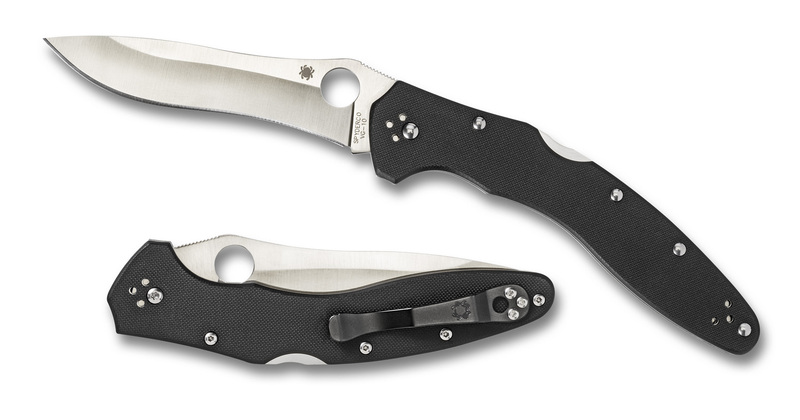 In many ways, this seems like a fresh take on an old standby, the tried and true Spyderco Police. This entry was posted on Friday, September 21st, 2012 at 12:20 pm	and is filed under 4" or Larger Knives, Designer - Ulrich Hennicke, Features - Screw Construction, Handles - G10, Lock - Lock Back, Manufactured - Japan, Steel - CPM-S30V, Type - Folding Knife, Type - Law Enforcement, Type - Martial Blade Craft, Type - Self-Defense Knives. You can follow any responses to this entry through the RSS 2.0 feed. You can leave a response, or trackback from your own site.